"Book Your UTV / ATV and Keep Exploring the Great UP"
Where can I rent a UTV / ATV in Grand Marais Michgian? Right here in Grand Marais, MI. Welcome to our Grand Marais, MI UTV / ATV Rentals Booking engine. Here you can easily select and book a Can-Am to explore the Eastern Gateway to the Pictured Rocks. Grand Marais Powersports has the perfect Upper Peninsula UTV / ATV Rental to fit your needs. Great outdoor fun can be had by all with our all terrain vehicles. The Hiawatha National Forest provides a great trail system for you and friends to explore that includes the Pictured Rocks, Sable Dunes along with other great year-round attractions. 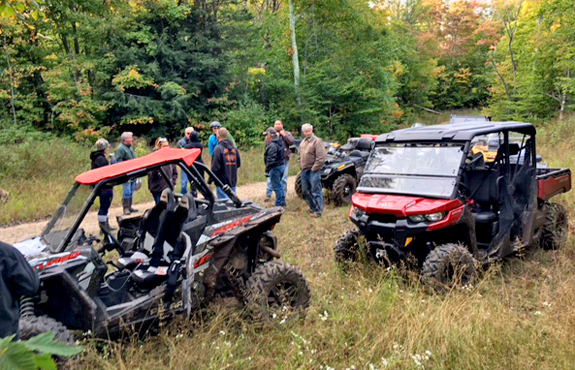 Book your Grand Marais, MI UTV / ATV Rental today so you can keep exploring the great UP.